Temperament: Aussies can be reserved with strangers and very loyal with their family and friends. As a herding breed they do have a desire to herd (chase) small animals and children. Keep an eye on your aussie when they are playing with children so they don’t start to herd them by nipping at them. Coat: Medium length double coat. Requires weekly brushing and should be bathed every 4-8 weeks. They will require more frequent grooming during shedding seasons. Colours: Black, Blue Merle, Red & Red Merle, all colours are with or without copper (brown) and/or white trim. 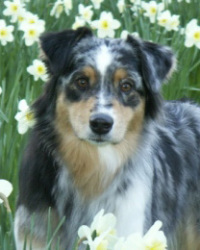 Aussies can have a variety of eye colour, brown to amber, blue, one of each or marbled eyes with 2 colours in the eye. Feeding: Aussies do well on high quality kibble, raw or home cooked diets. Training & obedience: Obedience training is a must. Aussies thrive on training and spending time with their people. They excel at all dog sports (obedience, herding, rally o, agility, dock dog, scent discrimination, draft dog, sledding, etc) and trick training. House breaking: Easy to house train, as long as the owner is consistent and observant. Crate training: A definite must for a young aussie to keep them out of trouble when you are not able to supervise them or if you are away from your house. 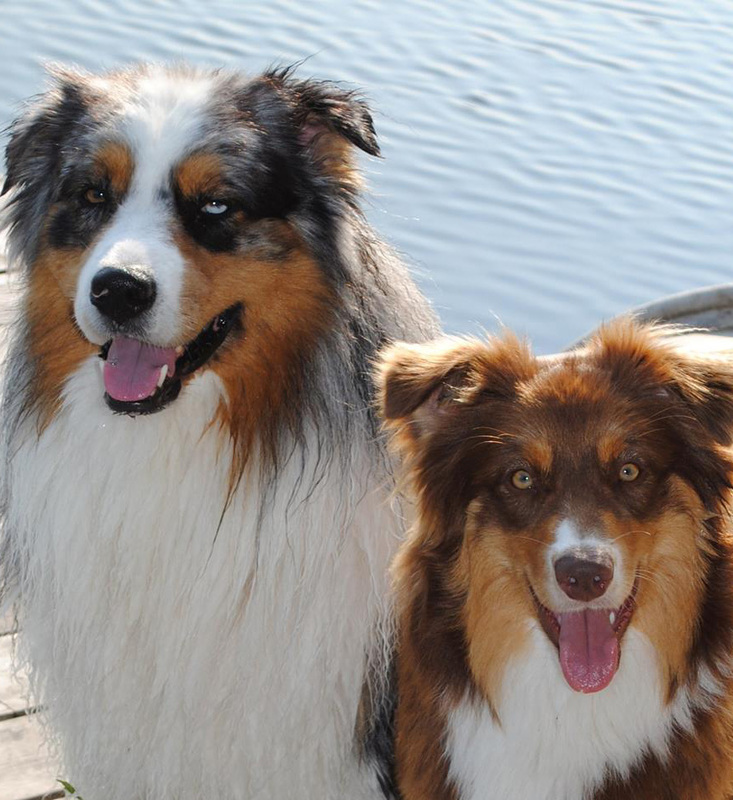 Exercise: Aussies enjoy long walks daily, chances to run & play with other dogs in a safe environment. An aussie will be ready to go when you are and can relax with you inbetween.